Globular cluster M2 in the constellation Aquarius lies about 38.000 light-years from Earth and spans nearly 175 light-years across, making it one of the largest clusters in our galaxy. It has an extremely dense core compared to most other globular clusters and contains over 150,000 stars. 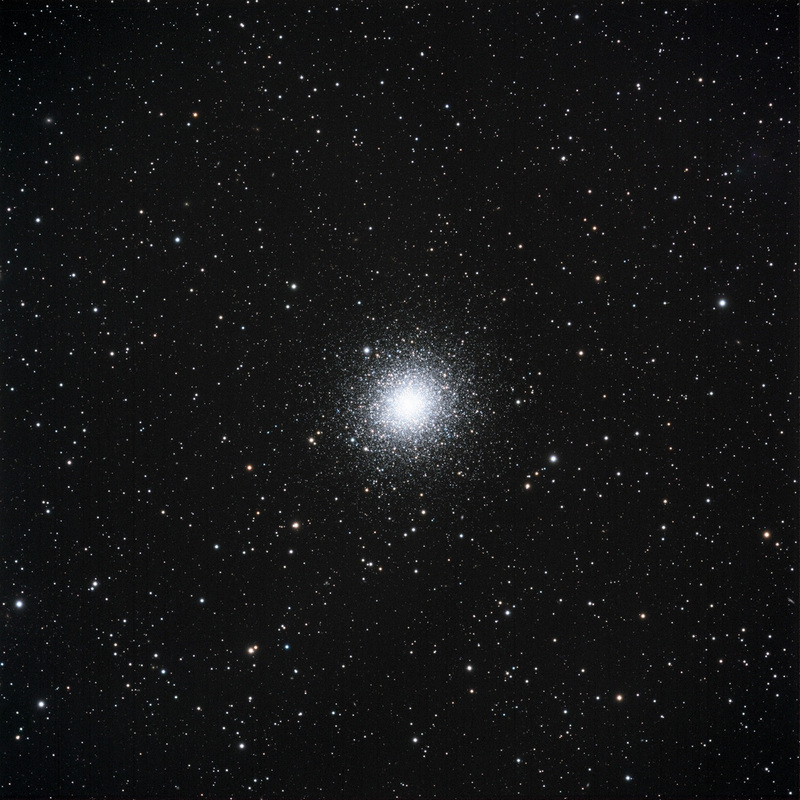 M 2 was discovered by the Italian-born French astronomer Jean-Dominique Maraldi on September 11, 1746. Charles Messier didn’t spot the cluster until September 11, 1760 but thought it a “nebula without stars”. It wasn’t until 1783 that William Herschel first resolved the cluster into individual stars. Total exposure time was 3 hours 15 minutes. This image is the result of a collaborative effort between Howard Hedlund of Astro-Physics, Inc. and Dave Jurasevich.